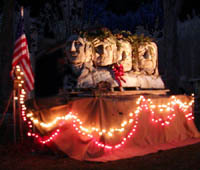 Learn about patriotic holidays in the USA, UK, Canada and Australia. Find patriotic printables, coloring sheets and clip art, patriotic iron ons and patriotic cards. 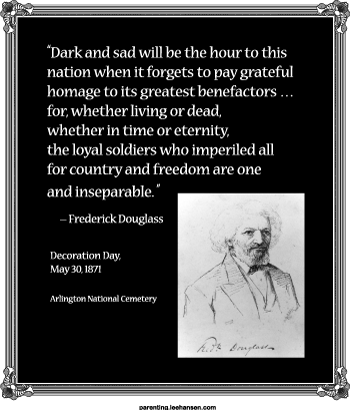 Research the history and true meaning of Memorial Day /Decoration Day in the USA as well as special days of Remembrance and tribute to lost lives. 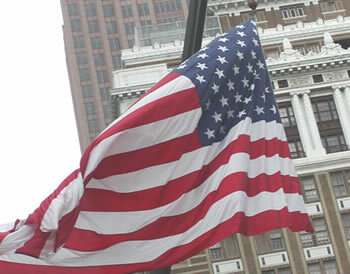 Click here for 9-11 educational resources. 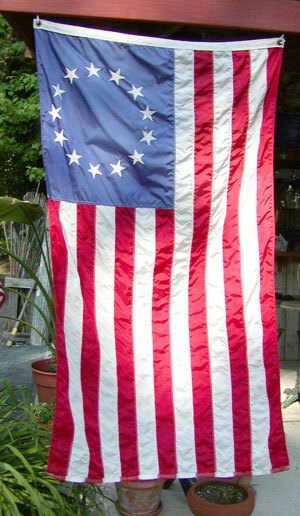 "I Pledge allegiance to the flag of the United States of America, and to the Republic for which it stands. One Nation under God, Indivisible, with Liberty and Justice for All." Click here to learn more about Canada and her history, people, customs and national holidays. Canada's National Anthem is O Canada and the national flag depicts a red maple leaf on a white field with two red vertical bars at each end. Read about the History and Meaning of Memorial Day. "I pledge allegiance to to the flag of the United States of America, and to the Republic for which it stands - one nation, under God, indivisible - with liberty and justice for all." Memorial Day is a US holiday of reverence and respect for those who served the nation in military service. 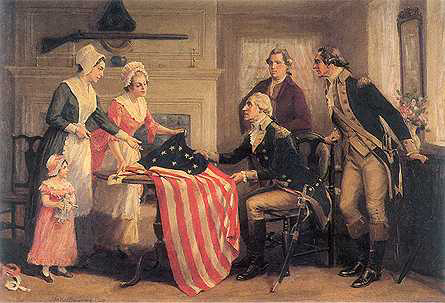 The holiday was formerly known as Decoration Day, and observed on May 30th every year. The original name came from the practice of decorating the graves of veterans who died during battles of the Civil War. The observance later expanded to commemorate fallen soldiers from all past or current conflicts, and then later still to include all US service veterans. Memorial Day is a day marked by solemn military and government observances and local parades through the nation; many families also observe the day as one of personal tribute and reflection by decorating the graves of family members, both veterans and non-veterans. In recent years commercial enterprises have promoted the holiday as a 3-day kickoff to summer and family activities. As a result, the true meaning and history become slightly obscured in times of peace. Nevertheless, in Washington DC on Memorial Day the president or vice president visits Arlington National Cemetery and lays a wreath at the tomb of the Unknown Soldier. Military honor guards fire their rifles in salute, speakers help the public remember the real meaning for Memorial Day, and parades featuring representatives of the armed forces, veterans organizations and veterans take place in communities large and small. Most communities conduct cemetery ceremonies and place flags and/or flowers on the graves of veterans and hold public assemblies to honor local veterans who served in all campaigns and service branches. The official date of celebration for Memorial Day changed in 1971 to the third Monday in May by an act of Congress, to establish a long weekend for the holiday observance. A few states in the US still observe May 30 as Memorial Day in addition to the federal holiday; some southern states also observe a different day as a Confederate war dead holiday. Other nations observe days of reverence and honor for their war and service veterans, including Australia, Canada and most European countries. The red poppy is the traditional flower to honor and commemorate veterans in North America, Europe and Australia. The red poppy was made famous by a poem- In Flanders Fields - written during World War I by Canadian army surgeon Lt. Col. John McCrae. On Memorial Day, as on Veterans Day, many veterans and patriots wear a red lapel poppy to honor fallen soldier buddies. Non-veterans also wear the Buddy Poppy to honor those who died protecting our freedom. Since 1924, disabled veterans - who receive compensation for their work - have assembled Buddy Poppies in hospitals and "Poppy shops." The VFW and American Legion Auxiliary distribute the official Buddy Poppies freely to the public in time for Memorial Day ceremonies, accepting only contributions for the poppies. All contributions received in exchange for Buddy Poppies go directly to fund assistance programs for needy or disabled veterans and to the immediate family survivors of fallen veterans. - the US National Anthem? Oh, say, can you sing The Star Spangled Banner? Can you recite the (correct) lyrics? If you listen as folks sing the United States' national anthem at a public event, the words that come out are often far from the actual lyrics. Good intentions aside, all Americans should know the words to the first verse (at least) correctly - and the national anthem project's mission is to help us with that task. There are actually 4 verses to The Star Spangled Banner, but most folks these days have problems correctly reciting/singing the first verse - the very lyrics sung at the start of all public gatherings in the US. 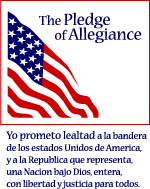 When I was in school, we learned the tune and the lyrics, and we sang the National Anthem in class every day. In addition, teachers used the lyrics as part of language arts, penmanship and for history/social studies lessons. 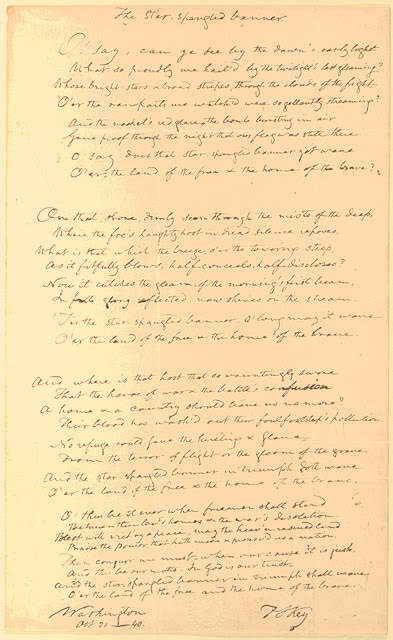 The words (lyrics) to The Star Spangled Banner are emotional, evocative poetry; the history behind the origin of the verses offers many opportunities for learning about the United States early struggles for independence, particularly about the battles during war of 1812 - one of which inspired the historic words by Francis Scott Key, an American attorney. The Star Spangled Banners has been played at military and naval events since 1916 and it's been the United States national anthem since 1931. Because so many Americans have trouble remembering the lyrics correctly ... help is on the way to correct the problem. There's a movement in the US, spearheaded by the National Anthem Project, to educate and refresh our memories on the inspirational words written so long ago by Francis Scott Key. 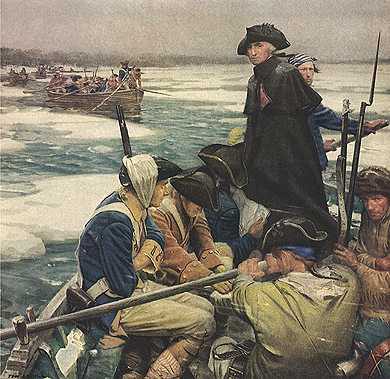 Follow the links below to the National Anthem Project, where you will find the complete song lyrics, plus links to audio clips of this most patriotic of all US songs and to other US patriotic music and holiday pages. 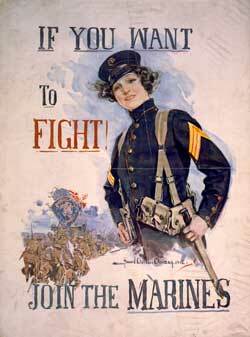 Listen up, get it right ... and sing your heart out for America at the next opportunity!